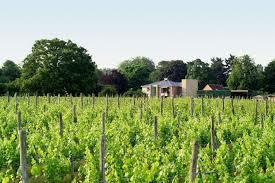 The Bothy Vineyard (www.bothy-vineyard.co.uk) is Oxford’s nearest vineyard. Run with imagination and dedication by Richard and Sian Liwicki, it produces award-winning white, rosé and red wines. New from Bothy this year is their sparkling brut rosé, Halcyon Days. But this piece is not a plug for Bothy but an opportunity to write about a remarkable tasting last month. Richard is, to put it politely, a bit of a sceptic about champagne. He reckons that there are sparkling wines in the market which are not only preferred by tasters but considerably better value than the real stuff. So, he challenged a group of the Bothy’s friends (we all put in a few days’ work a year in the vineyard in return for a bottle or two and some of Sian’s top-notch cooking) to produce their best bottle of champagne or sparkling wine for a taste-off.